Question about quest "Hunt of the Black Lion"
Hi everybody! I'm doing the quest Hunt of the Black Lion. 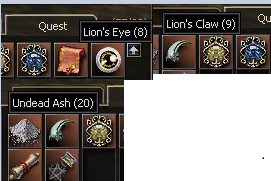 According to it's description, after collecting 20 Lion's claw I will receive an Lion's Eye quest item. More Lion's Eyes - more the reward of the quest. Now I have 8 Lion's Eyes, 9 Lion's Claws and 20 Undead Ashes. 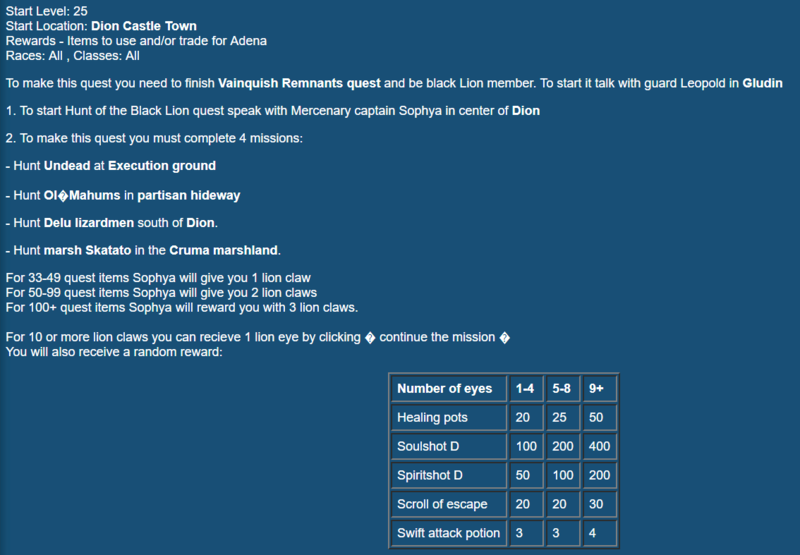 From description of the quest it can be supposed that I can collect more than 8 Lion's Eyes (9+). But this is not happens. 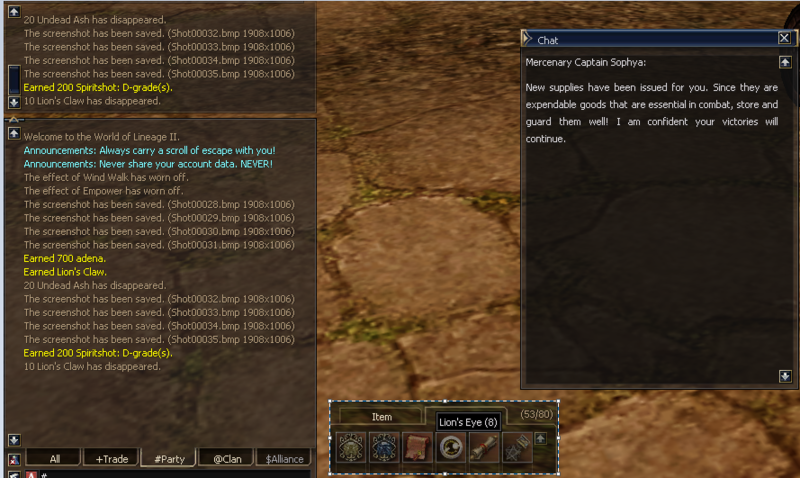 After I exchange quest items - I receive the high level reward, but number of Lion's Eyes is still the same - 8. One can ask: if I receive the high level award, why bother? 1. I'm curious about proper working of the quest. 2. I want to show others big number of earned quest item. P.S. : sorry for my bad english, I was too lazy to use Google translate. 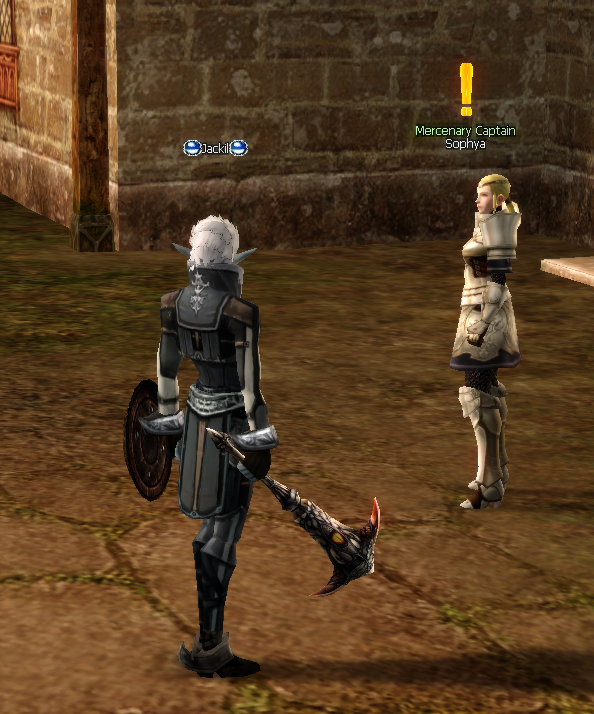 Re: Question about quest "Hunt of the Black Lion"
Hello and thank you for the info. I will look into this quest when I get some free time. My experience was the same. I did not care because i got the right amount of reward. Anyway i could got about 20 eyes.